the 'position' to be ignored? unavailable) but I'll try to publish a new WD around a week from now. could wait until the next opportunity, which is early June. Next message: Andrew Fedoniouk: "Re: layout idea"
Previous message: Tab Atkins Jr.: "Re: layout idea"
In reply to: Andrew Fedoniouk: "Template Layout, implementation, some comments. 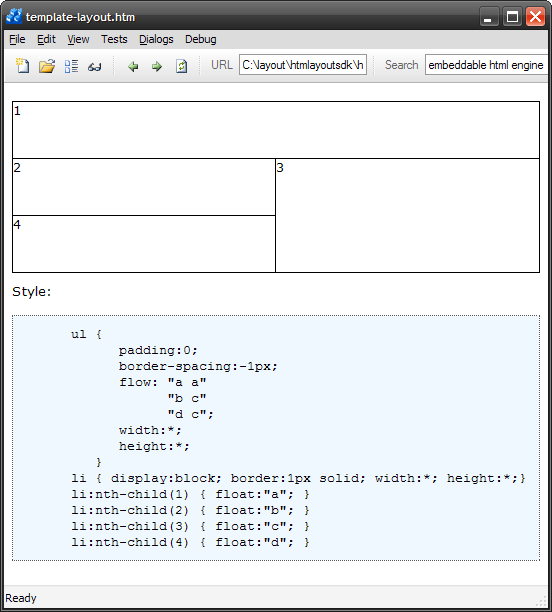 Was: Re: layout idea"
Next in thread: Andrew Fedoniouk: "The flow demo, Was: Re: Template Layout, implementation, some comments." Reply: Andrew Fedoniouk: "The flow demo, Was: Re: Template Layout, implementation, some comments."